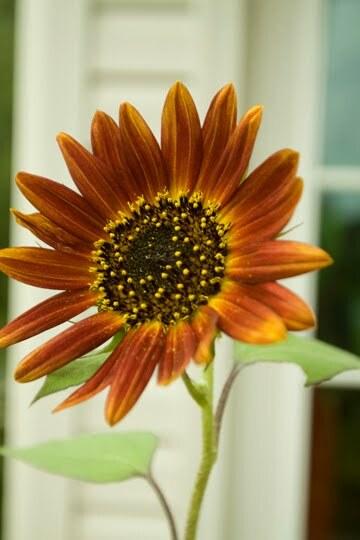 This year I decided to try some sunflowers. 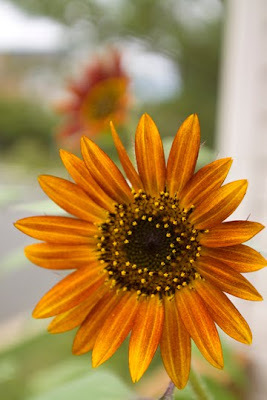 These are Evening Sun variety, although because of their size they look more like Gerbera Daisies to me. I had some regular yellow sunflowers but only two bloomed and they were tiny. I think the size is all relative to the fact that they are in a pot and don't have a lot of room to grow. Nonetheless, I like these and today they will be cut to come inside and adorn the house.